I have had over 20 years of experience working with abductees. I am now a part of a group assigned as an abduction studies specialist working to increase the knowledge of others who wish to work in the field. I hold a private abductee meeting twice a year in order for experiences to come together to talk and share what happened without interference by media or non-abductees. It has been a blessing for all involved for many years. I work with people both independently and through MUFON. If you would like to contact me, you can rest assured your information and identity will maintain your anonymity. Feel free to reach me and I will get back to you. It is time for experiences to feel safe telling their stories and need the right people to talk to. This informed consent form is for individuals who have experienced alien abduction and who wish to participate in completing a questionnaire designed to identify commonalities among experiencers. Abduction researchers, Kathleen Marden and Denise Stoner, are inviting you to participate in these fact-finding questionnaires. We have been providing support and insight into the alien abduction phenomenon for a combined total of more than 42 years. Our goal on the first questionnaire is to identify alien technology that experiencers have observed on the craft. 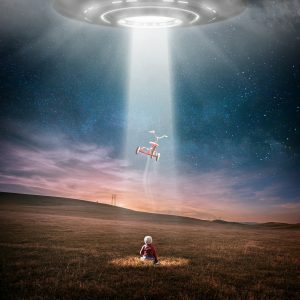 The “Second Stage” questionnaire provides experiences and the UFO community information about the unique constellation of demographic, experiential and medical commonalities that experiencers share. These questionnaires can benefit experiencers by demonstrating that they are not alone. Those who have already completed the form have stated that they viewed it as a positive experience. However, we wish to caution you to be sensitive to your own emotions. If recalling your abduction memories is distressing, we advise you not to participate in these questionnaires. Participation is purely voluntary. We are asking you to help us learn more about commonalities among experiences. wish to return to them at any time. Completing each questionnaire will take approximately 15 minutes of your time. Specific instructions are listed at the top of each questionnaire. You may contact Kathleen Marden at Kmarden@aol.com or Denise Stoner at DMStoner1@gmail.com with questions and we will do our best to answer them to your satisfaction. You can contact me if you wish to answer these questionnaires and help us with our research. Our goal is to protect your anonymity. No one will be identified by name. Any personal information that you volunteer on the form is confidential and no one except Denise Stoner and Kathleen Marden will have access to your personal information if you decide to include it on the forms. However, you may choose to remain completely anonymous. Completed questionnaires will be tallied and locked in a secure location. Secrets of physiognomy: What fate hides your face?